Certified Australian Extra Virgin Olive Oil Made from 100% estate grown fruit on the Victorian Surf Coast. It is a blend of Leccino and Frantoio olives. Owners Kerrie and Stephen Parker grow their olives using sustainable and low-impact agricultural practices and take the same approach to their olive oil. Olives are cold pressed within 24 hours and allowed to settle, but remain unfiltered. The highlighted 2018 Estate Tuscan is made from 100% Estate grown fruit blended from almost equal parts of the Leccino and Frantoio olive varieties. True to the Tuscan tradition, it is a beautifully rounded EVOO with a pleasant fruitiness and warm peppery finish. 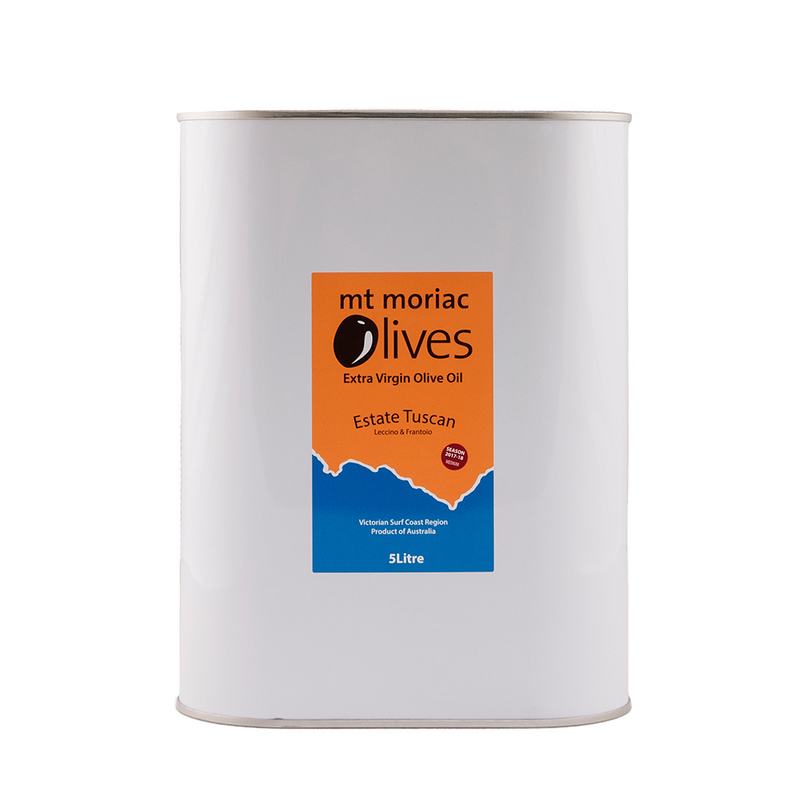 This EVOO was recently awarded a Bronze in the 2nd Australian International Olive Oil Awards in 2018. Serving Suggestions: This is a versatile EVOO that will compliment any dish as a finishing oil, for shallow frying and roasting, or just for dipping crusty bread.